The Habs, Hockey, Skiing, Baseball + more! The Habs grabbed the Bull by the horns last night and dominated a struggling team. Unlike previous games against poor teams, Montreal would play down to their level. I don't care whether Gryba is suspended or not, just hope that Eller is okay. Really hope the Habs respond well tonight. Good job at covering all that oxygen on the OT goal Hammer! Worst D man in this series! I'm not sure if my old introduction is on here when I was Habsfan4eva but here goes another attmept to introduce myself on the newer version of the forum. I used to post here a lot more but my new job keeps me away a lot more:( Username: HabsfanForever78 Real Name: Curtis Live: Peace River, AB Born: Same as above Fave All time Hab: The Rocket Fave Hab that I actually got to watch play: John Leclair Fave Current Hab: Carey Price and Michael Cammalleri are neck and neck but I also love Gomez, Gionta, Pacioretty, Plekanec, Wisniewski and Subban! Fave Game: 5-0 comeback game vs. the Rangers Least Fave Game: Whenever the Leafs beat us but especially when they beat us to keep us out of the playoffs, also the 11-1 loss to the Red Wings when we decided to demolish our franchise that Bob Gainey had to fix for us, thanks Bob. Welcome to the club Brent, I like the acquisition and hope to see him play a key role on the PK, blocking shots and using his size! who cares about WJC, but I love to watch it~! I always look forward at this time of yr when this tournament rolls around,always enjoy it...yes,of course where do I even begin to display my displeasure/disappoint after last nights game...but I cannot forget one thing...their just young lads who I am quite sure they felt the same way I did this morning,only 100 times worse I'm thinking. So,next yr...we go at it again....GO CANADA! 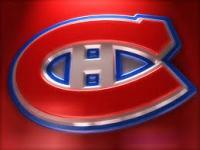 Not happy with the Habs current situation, they are hard to watch! Loving my boy Price....praying for snow in the mountains....please God, 50cm of fresh by the 17th in the roockies! I think that Halak would have gotten a longer leash since he was the one that got us to the Conf Final! I love that he was the one that got us there but it was not his fault that we lost! Price will be thrown under bus imediately, smart thing to do is to play him for half the game, just like they should have done with Halak in STL. I agree. When he played for the Sabres and Leafs I hated him, because he always seemed to be the thorn in our side, scoring that goal that put us down by two late in the game, or stripping pucks off of our lumbering defense. I was so happy to see that he came to our team for a 2nd rounder. I think that he deserves a contract; I would make it a priority! I am just about ready to say that he is more important to this team than Tomas Plekanec, I said almost! I think that this guy knows that he is a third liner at best! He's really proving to be a very effective third liner though. He's good on the draw, in the corners and at carrying the puck out of our zone! I really hope that we can re-sing him!